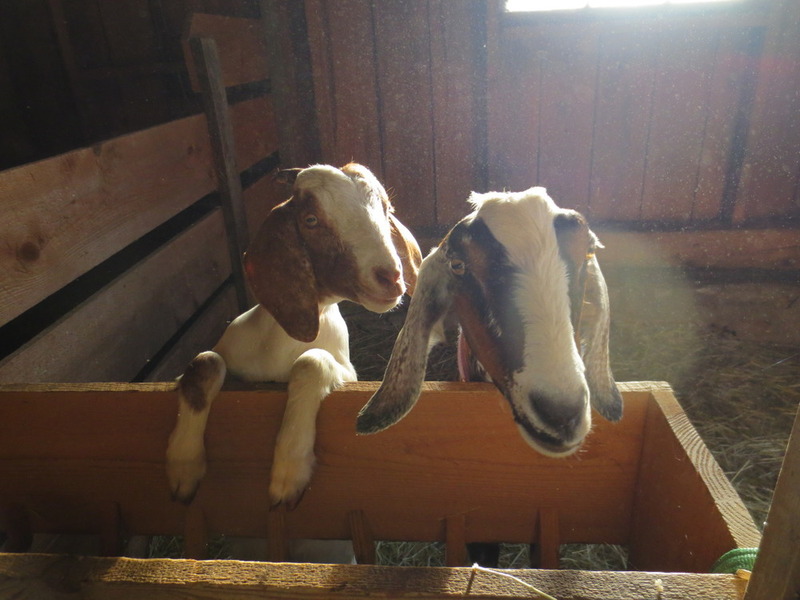 The goats on our farm are a leftover from our early days of animal husbandry. My vision of having the goats keep the fencelines clear collided with the realities of keeping up with goat fence management.I found electronet a reliable fencing method when rampant spring grass and too many polywire paddocks did not draw off charge from the energizer and when the fenceposts were not damaged by hard summer ground. Gretel, our remaining bottlefed Nubian, prefers to oversee the farm and that is best done from her barnyard paddock. Hansel's death left Gretel as the lone goat in the field so we bred her to Boer buck anticipating caprine companionship for Gretel and meat for our freezer. Our goat plans have changed as our farmstead has grown.Cleaning out the secure goat yard is less frustrating than fighting with fence and losing landscaping to escaped goats. As a bottle fed animal, never destined for the freezer, Gretel stays on the farm, hopefully producing meat for the freezer and occasionally clearing some fencelines and overgrown garden beds with Charlie, this year's goat sidekick.